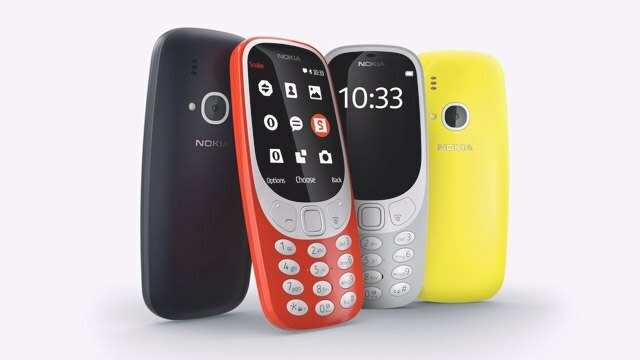 Just when you finally got your revamped Nokia 3310 after being wait-listed for so long (yes, it sold like hotcakes and supply ran short), Nokia comes out with an upgraded version of the iconic phone--this time with 3G. The reimagining of the feature phone was a large success after Nokia pulled off a strong appeal to nostalgia that attracted attention from consumers who used to own the extremely durable device. There's not much to talk about regarding its specs, but the 3310 did get a much-needed facelift and added modern features like a 2-megapixel camera and better storage expandable up to 32GB. Aside from this, it included an updated version of Snake, which unfortunately had a different feel compared to the original fan favorite time-waster. One of the biggest letdowns was it only came with dated 2G internet capabilities that made loading times painstakingly slow. Now, Nokia is addressing this issue by launching the same model updated with 3G internet. The 3310 3G will set you back $60 (around P3,000) and is set to be released on October 29th in the US and other markets.